Why should my lawn be Synthetic Grass? Quality synthetic grass and turf, professionally installed, will give you a beautiful care and hassle free lawn, without the problems and maintenance cost of a natural lawn. Synthetic grass has become an environmentally compatible and proven alternative to the traditional lawn. 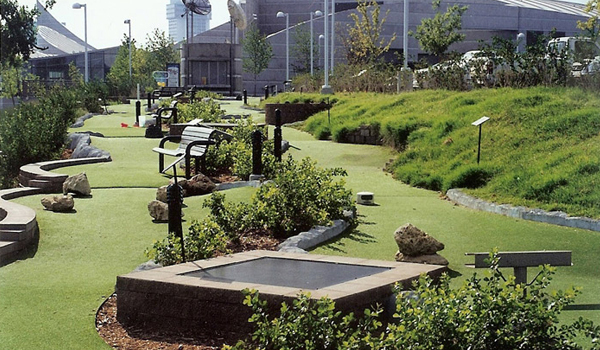 American Grass & Turf promotes water conservation; requires no fertilizers, no pesticides and no mowing; reduces urban runoff caused by irrigation; and reduces the amount of green waste going into landfills. Our grass and turf does all this and more for an affordable low cost. "It is the ultimate lawn for the ultimate landscape"
1. What makes American Grass & Turf different than other Artificial Grass companies? American Grass & Turf offers nothing less than an elite grade of synthetic grass universally used and recommended by homeowners, homeowner’s associations, office building and shopping center owners, sport’s field organizations, major landscaping companies, and architects. American Grass & Turf’s superior product lines are the direct result of three generations of product research and manufacturing. The reasons that make American Grass & Turf’s synthetic grass an undeniable leader in the industry, is the same reasons our grass will be a long term solution for your specific landscaping needs. We shall continue to lead the way in the design and installation of high performance grass and turf. "We have a synthetic grass application for every need". 2. Since there are many companies selling Synthetic Grass, why should we select American Grass & Turf? This question is easy to answer, especially when our company offers the finest grass and turf products on the market, which include such products lines as SOFGRASS LAWN, SOFGRASS PLAY, SOFGRASS PET, SOFGRASS SPORT and SOFGRASS GOLF. In as much as there have been an increasing number of newcomers to the synthetic grass and turf industry, not one has the capability of offering the level of quality and service that American Grass & Turf offers. Our company is the right choice for your long term landscaping solution, as well as a certainty that you’re dealing with a reputable company having professionally trained and skilled installers, a California Contractor’s License, more than adequate insurance, bonding capabilities, and a superior product and installation warranty. Since it is commonly known that "you only get what you pay for", you must avoid the companies that offer a synthetic grass that is not long lasting and requires constant maintenance, a product which is truly a poor alternative to natural grass. "Our SOFGRASS lawn products are manufactured and backed by the best". 3. How much does Artificial Turf cost? "The Best of the Best" is never cheap. However, American Grass & Turf with its many different product lines shall make your choice to install synthetic grass affordable. It is important to understand that whatever cost you may ultimately pay, consider it to be an investment that will increase the value of your property, while paying for itself in just a few years. For example, if you spend $200. to $300. per month on landscaping and watering costs, your yearly out-of-pocket expenditure will be $2,400. to $3,600., an amount which shall equate to a total five year cost of some $12,000. to $18,000.. The good news is that the average American Grass & Turf lawn can be installed for much less. "We offer the best grass for the best affordable price". 4. What are the real investment benefits of Synthetic Turf? Other than having a beautifully designed and installed American Grass & Turf maintenance free lawn, your installation, depending upon the total cost, shall represent your long term investment, which by all conventional standards will pay for itself within a 4 to 5 year period. After the 5th year and your synthetic grass investment has been fully repaid, the investment will continue paying for itself by providing you with an annual cash savings of some $2,400. to $3,600. for what would have been the maintenance and watering cost of your natural lawn. We are pleased to have this opportunity to bring your attention to the excellent investment benefits of investing in the installation of our beautiful SOFGRASS LAWN, and we genuinely believe it is an opportunity you need to carefully consider. "This is an investment opportunity having unlimited benefits". 5. How long does Artificial Grass last? Honestly, it is difficult to predict the life of many things, especially synthetic grass. Like most companies in the industry, our synthetic grass and turf is designed to last up to 10 years in an abusive sports field application, while our SOFGRASS LAWNS and landscaping applications are expected to last for a period of 20 to 25 years. "The cash savings over a 20 to 25 year life could give you an average cash savings of some $52,500." "What a wonderful windfall". 6. Does American Grass & Turf offer financing? American Grass & Turf offers monthly payment plans that can fit virtually any budget. Normally these payments will be less than what you are currently paying for water and maintenance that are inherent to your existing natural grass lawn. "Financing for every budget". Unlike most synthetic grass companies American Grass & Turf is proud to offer its valued customers a 5 year unprecedented installation warranty, together with a 10 year product warranty covering such things as Ultra Violet (UV) fading, and discoloration, including material and workmanship defects. It is also important to understand that our warranties are transferable to our customer’s buyer during the term of the warranty. "You stand on it and we stand behind it". 8. How long does it take to install Artificial Turf? Depending on the actual size of the proposed grass area, the average American Grass & Turf installation site should take from one to three days to properly install. "We are as fast as we are good". 9. What about quality control? Our commitment to customer satisfaction is second to none, and as a result American Grass & Turf has acquired many satisfied customers. In keeping with this commitment of customer satisfaction American Grass & Turf has made it a policy to have all grass and turf installations supervised and completed by highly trained and skilled installers. It has been these commitments that have given our customers the best in product quality and the highest level of workmanship. "We have quality control down to a science". 10. Why is it important to work with a company that has a California contractor’s license? When you contract to have work done in and around your home, it is important to note that the company performing the work must have a valid contractor’s license for any work that exceeds $500. In choosing a licensed contractor you will be assured that the contractor has the knowledge and experience to skillfully perform the required job, and that the contractor is covered by a liability and workman’s compensation policy, inclusive of bonding, which is necessary to protect the homeowner. We are pleased to advise that American Grass & Turf is licensed and bonded. Our California License Number is 944030. "Our license is to assure our customers that their grass product and installation will be a job well done". 11. How does Synthetic Turf affect my property value? 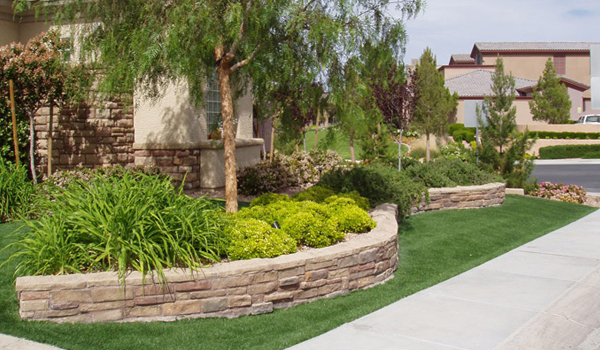 While our synthetic grass, SOFGRASS LAWN, has proven to dramatically increase property values and curb appeal, it has further been proven to improve the salability of our customers’ properties. The real untold story is how our synthetic grass facilitates the purchase of our customer’s property and the excitement it instills in the potential buyer. Historically, a potential buyer may be more inclined to purchase a home or property having one of our beautiful SOFGRASS lawns, especially after acknowledging that it requires no watering or maintenance, is environmentally safe, and 100% recyclable. As a customer of American Grass & Turf, you will be more than pleased with the positive affects that our SOFGRASS LAWN will have on your property and its value. "Our SOFGRASS LAWN will not only enhance the value of your lawn, but will enhance the value of your property, which will truly be a Win - Win proposition". 12. What about my children playing on American Grass & Turf grass? Our SOFGRASS PLAY, certified for safety by IPEMA, is softer and safer than real grass, a condition which can, in part, be attributed to our use of a non-toxic infill that will, in no way, harm your children or pets. Due to the environmental and personal safety of our SOFGRASS PLAY product lines, our synthetic grass and turf have been installed in many day care centers and public play grounds throughout the country. 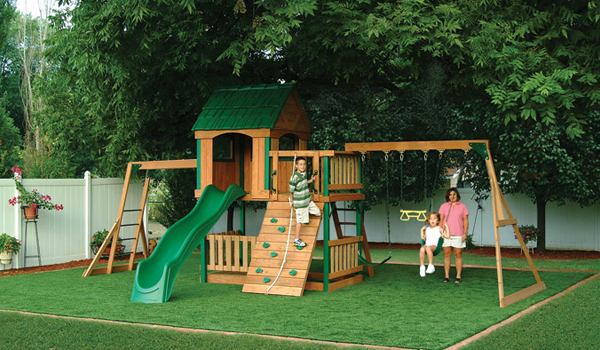 American Grass & Turf has become extremely popular with mothers, as we have been told that the installation of our SOFGRASS PLAY has virtually eliminated grass stained clothing and scraped knees. "When you can’t be there to catch them, SOFGRASS PLAY will". 13. How durable is your Synthetic Turf, really? Due to the durability of our grass and turf product lines, our sports grass and turf have been installed on sports fields, center and facilities through-out the country, including child care and pet centers. 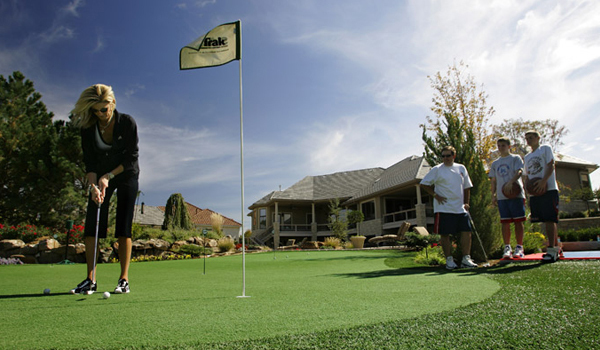 If our grass and turf is durable enough for these users, imagine how long it will last in your yard. "Its durability is beyond comprehension". 14. 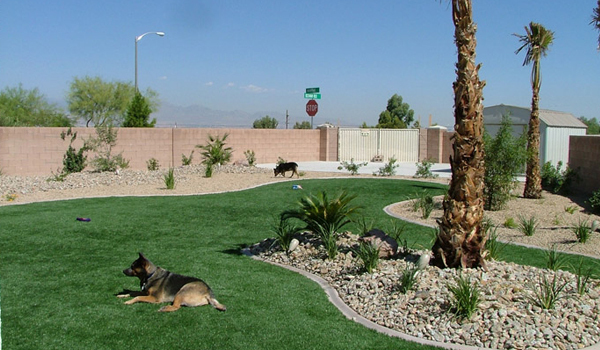 Is your Artificial Lawn pet friendly? 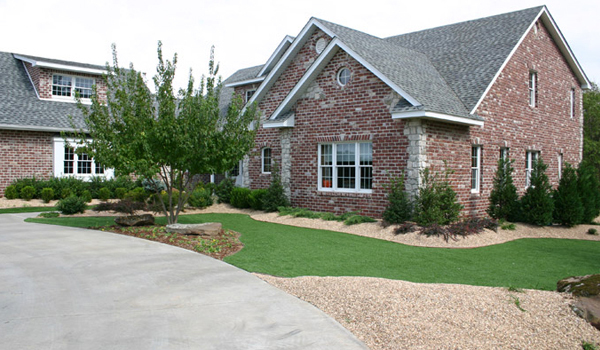 We at American Grass and Turf believe it to be extremely important that while our customers enjoy their pet, they enjoy one of our beautiful SOFGRASS LAWNS. Since we have a proven solution for our customers’ synthetic grass lawns and their inherent pet problems, 75% of our customers are either pet owners or owners of animal care centers and hospitals. Unlike natural grass, liquids and urine easily drain through our specially designed DURAFLO backing that will prevent unhealthy build-up and unwanted odors, while pet droppings can be removed or washed away with a hose. "Yes, American Grass & Turf’s SOFGRASS product lines are pet friendly". 15. How well does Artificial Grass drain? 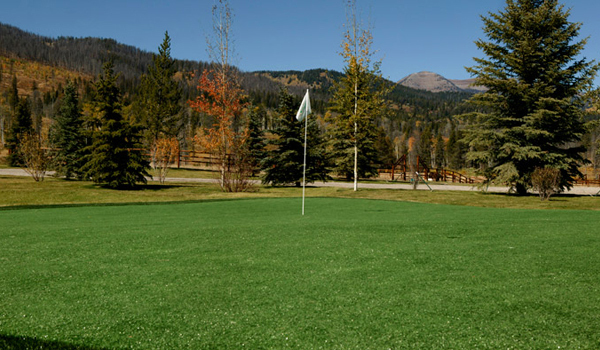 It has been proven that our synthetic grass products with our DURAFLO patented porous backing, together with a crushed granite stone base, drains water at a faster rate than natural grass. Unlike other companies American Grass & Turf does not drill drain holes in its grass backing to improve the product’s drainage capabilities. 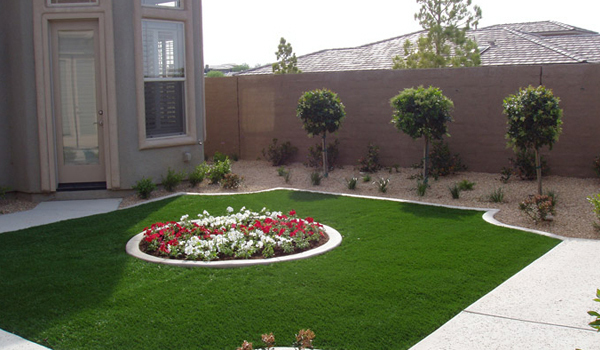 Yes, our grass provides excellent drainage that will prevent your lawn from accumulating water and creating mildew. "Drainage is as important to us as it is to our customers". 16. Why doesn’t Synthetic Grass fade? American Grass & Turf products have a built-in Ultra Violet (UV) protection that allows the grass to hold its color under the most brutal conditions. Independent studies have shown that our grass may fade at a rate less than 1% per year, which means that after 10 years of direct sunlight, any color change will more than likely be imperceptible to the human eye. Incidentally, natural grass can experience color changes within a matter of months of inception or reseeding. As matter of fact it is extremely difficult and costly to have a totally green and flawless natural grass lawn. "This is a perfection that can only be achieved through generations of research and development". 17. Can Synthetic Turf stain? 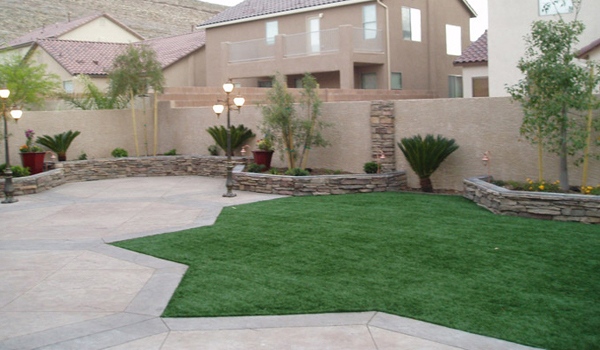 As our synthetic grass is made of a non absorbing material, spills can easily be cleaned. To date, our company hasn’t discovered anything that can stain it, including oil, dog, urine, weed killer and chlorine. Sticky spills should be hosed off and paint can be removed with paint remover and then hosed off. "Our SOFGRASS product lines have made spills and stains a non-issue". 18. How hot does Synthetic Grass get? 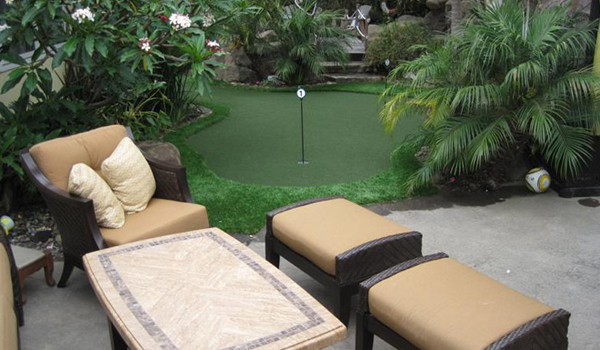 Since natural grass absorbs water, synthetic grass will never be as cool. Synthetic grass, like natural grass and many other surfaces that are exposed to direct sunlight will experience an increase in temperature, but nothing like the heat absorption and radiation of blacktop and concrete paving, rock or sand. As a result of installing our SOFGRASS LAWN product line together with the use of an acrylic coated infill, American Grass & turf has found reasonable evidence that our grass installations are cooler. However, even through the heat of summer your synthetic grass will remain pleasant. "Strategically placed trees can contribute to a cooler grass, synthetic or natural". 19. Will the infill harm my children or pets? Since we use an anti-microbial, non-toxic, non flammable infill product that remains up to 20% cooler than other infill materials, your children and pets will be safe and unharmed. Having made every effort to use environmentally safe and compatible products and materials, day care centers, pet facilities, and humane societies have, on virtually every occasion, given our SOFGRASS PLAY and SOFGRASS PET their approval. "Children and pet safety has been an important priority to American Grass & Turf" "Safety first is what they deserve". 20. What about gophers? rabbits? bugs? No more pesky little critters! SOFGRASS will eliminate any troubles you have with rabbits and gophers. Rabbits will no longer ruin your lawn by eating your grass and gophers cannot come up through the turf. Since the artificial grass has no organic value, the bugs, rabbits and gophers will have nothing to feed on, thus making them history. "No more bugs, no more pesky critters, and no more related problems". 21. What kind of maintenance does Artificial Turf require? It is more a matter of keeping it clean than maintaining it. You can easily remove organic material from the surface by using a leaf blower or a rake for heavier materials. A stiff bristle broom can be used to "fluff" the high traffic areas. "In as much as a leaf blower is an ideal tool for general upkeep, maintenance is normally a non-issue".